"In Beijing in 1970, Jindong Cai crouched next to a phonograph. He and a friend had shuttered the house’s windows and were keeping their voices low. They could get into serious trouble for listening to the subversive album they were about to play. 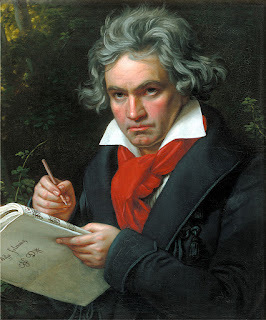 The rebellious music: Beethoven." More at this article, "Stanford music scholar explains Beethoven’s rise as a cultural icon in China."